A performance by Kuching Buskers. The guests watching a special video presentation. 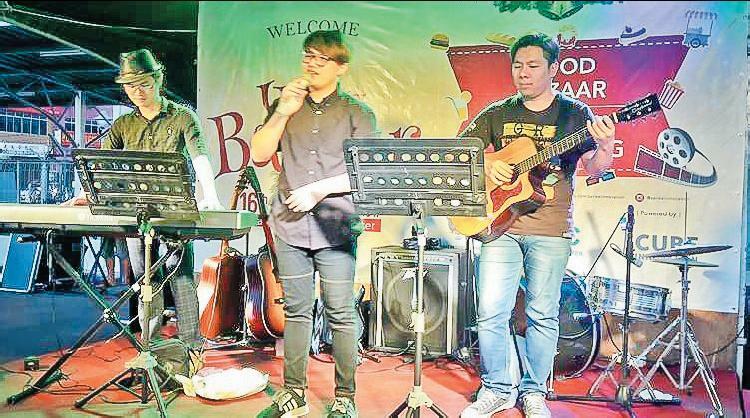 SARIKEI: The unity spirit among the various races was reflected during the staging of the ‘Unity Night ’ in conjunc t ion wi th Christmas at the Sarikei Innovation Centre (SIC) here, last Saturday. 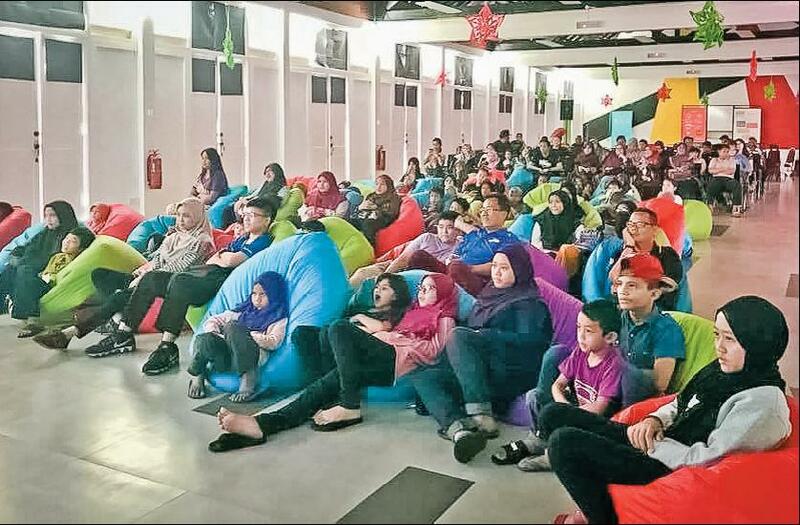 Resident of Sar ikei Division, Mohamad Junaidi Mohidin said the event was not only meant to enhance unity but was also an approach to enhance the spirit of cooperation in the community. “The presence of the various communities showed that unity among the various communities is still intact. We hope that this situation will continue to be maintained,” he said. The event which was attended by more than 1,000 people was made merrier with many interesting activities like busking, special video presentation and singing of spiritual songs. A mini bazaar was also set up by the organisers for the benefit of hawkers to increase their incomes. At the event, Assistant Minister of Urban Planning, Land Administration and Environment, Datuk Len Talif Salleh who is also Kuala Rajang Assemblyman donated coupons worth RM10 to each visitor of the event. Also present were chairman of Sarikei District Council, Wong Zee Yeng and Sarikei JASA officer, Ahmat Adai. Over 1,000 guests at ‘Unity Night’ 0 out of 5 based on 0 ratings. 0 user reviews.